Results: what Screen mode (color setting) do you have your Galaxy set to? Sammy's phones have pretty much become synonymous with that super-punchy Super AMOLED panel, which the manufacturer has been working on for years now. And yeah, while there are those who love the searing reds, cold blues, and cold whites, there are also quite a lot of users who prefer a more subdued look on their display, with more natural colors to it. 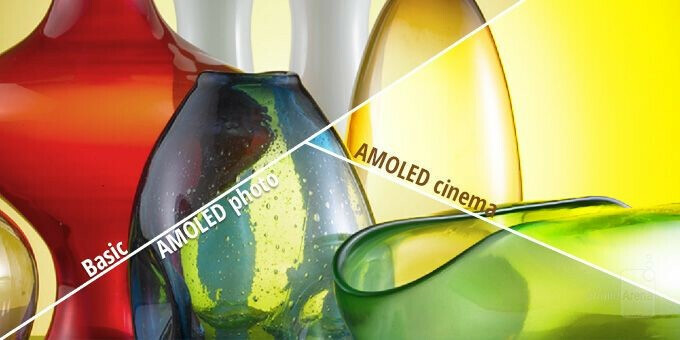 Thankfully, Samsung has acknowledged this and has created a few different color modes for their users. Love super-punchy colors and cold whites? Go for Cinema mode. Love natural colors and a warm display? Choose the lauded Basic mode. Want to display to auto-adjust itself, based on what you are looking at? Use Adaptive display! We thought we'd ask you guys which your favorite one is. Super-punchy AMOLED cinema, or extra-based Base mode? Do you just leave it on Adaptive so the phone decides what's best, or have you never even opened the Screen modes menu (in that case, rest assured it's set to Adaptive by default)? Here's how that poll went! What Screen mode do you have your Galaxy set to? For VR it defaults to the highest mode anyway. So it doesn't matter what you set it too when using your Gear VR. Is that why Samsung's Gear VR has 10 million sold now. Daydream VR has over a million users now. Not to mention the S8 supports both Oculus and Daydream now. Also lots of live sports are shown in VR nowadays. But I guess since all you own is an iPhone you are missing out on all the VR content, especially when Apple themselves don't officially support VR. But then again why would anyone want to support such a low resolution display like the iPhone 7. It would give you a bad VR experience. I use it occasionally, only because it was free with my phone, wouldn't of bought the headset. AMOLED Cinema for me when gaming and watching videos... For anything else, Adaptive is good enough. Didn't get to vote but I use photo. Basic Crazy fools using other modes.